Using Rebound™ 25 mold rubber, OBRaTUR, S.A. has created a line of GFRC furniture that is hurricane proof, ecological and offers an immediate return on investment. A Mexican resort owner calls GFRC furniture, "A perfect fit for our operation... unique, exciting and the next big thing". OBRaTUR, Group, S.A. will deliver hundreds of GFRC lounges that are comfortable (ergonomic design) and reflect the inviting look of tropical bamboo. The winning formula for maximizing the return on investment for resorts is to compliment the Caribbean ambiance while using earth products to deliver indestructible GFRC furniture works of art. First, cut the bamboo wood strips and apply them to the lounge model. Then, seal the model using a clear acrylic spray. 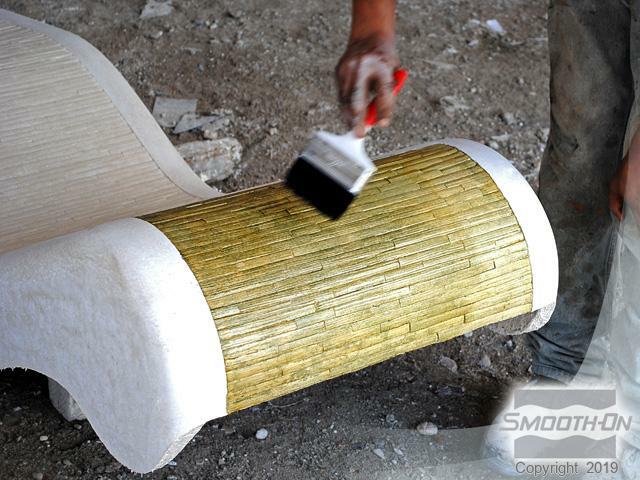 Brush Rebound™ 25 mold rubber over the bamboo detail. 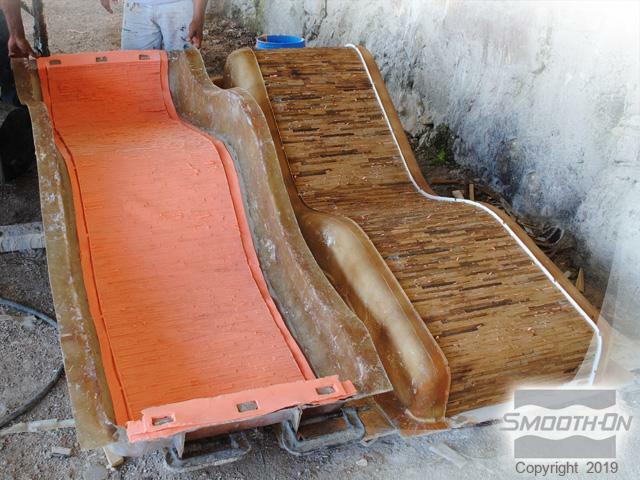 Apply a support shell made of reinforced resin, and then when the the support shell is rigid, remove it. 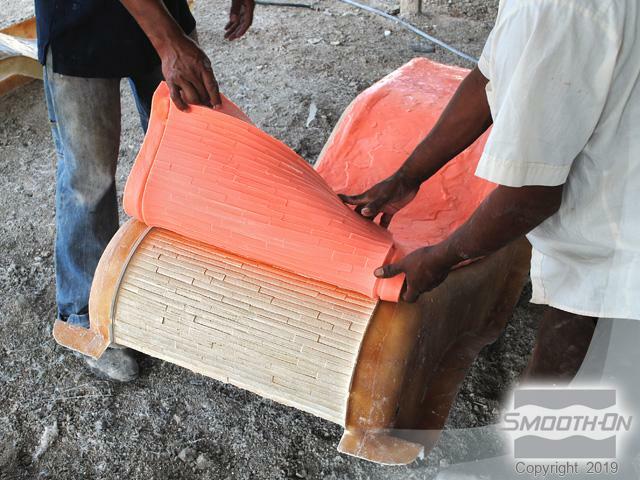 Remove and seat the silicone rubber mold into the support shell. Apply GFRC to the rubber mold using a hopper gun. 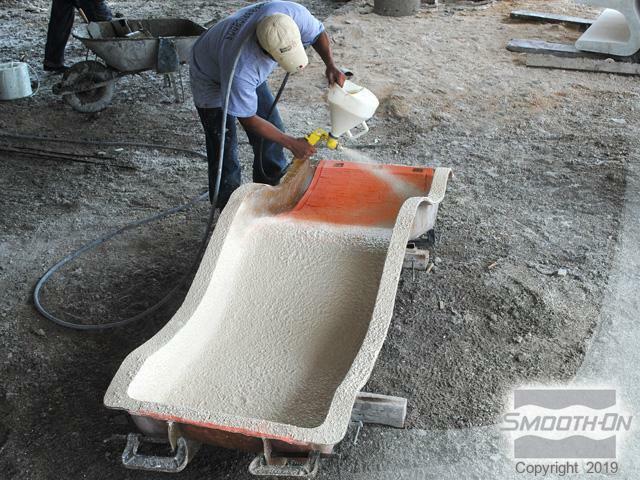 When demolded, the GFRC casting will reveal the perfect detail captured and reproduced by the Rebound® 25 mold. Stain the GFRC texture to match the color of the bamboo original. 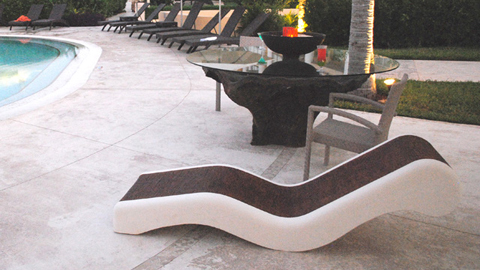 The GFRC lounge and tree root table can be enjoyed poolside for many years. GFRC cast furniture is strong and weather resistant.